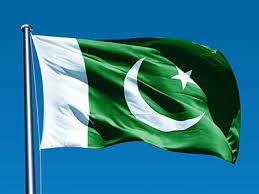 Pakistan-based Samba Bank Limited, a subsidiary of Saudi Arabia’s Samba Financial Group, has gone live with new core banking software, Temenos’ T24 (R15). The bank opted for Temenos Application Framework Java (TAFJ). The project was delivered by Temenos’ local partner, National Data Consultants (NDC). Temenos now has over ten customers in Pakistan. These include NIB Bank (NDC’s first live site for T24 R15), Soneri Bank (also with NDC as the system integrator), Allied Bank, Meezan Bank, Bank Alfalah and JS Bank. In addition to the new core system, Samba also signed for Temenos’ online and mobile banking platform, Temenos Connect, as well as the vendor’s anti-money laundering (AML) solution. For its middleware, Samba has implemented the IBM middleware with DB2 database for the integration of the bank’s front and back office systems. Also new are the servers based on IBM Power8 (introduced by IBM in 2014 and touted as the first open server platform and the first processor designed for big data), IBM storage and IBM Flash Systems. The IBM project was carried out by another Pakistan-based system integrator and IT consultancy firm, Infotech. The bank’s parent, Samba Financial Group, has a long-standing partnership with IBM across a number of areas, including using the IBM Cognos suite of products for business intelligence (BI) and analytics. For its core banking software, Samba Financial Group is using Temenos’ T24 offering. The project started in 2011. Pakistan-based Soneri Bank now running on Temenos’ T24 (R16). Pakistan-based Samba Bank has signed for BenchMatrix’s retail loan origination system, RiskNucleus LOS. The solution will automate the bank’s consumer lending processes across its entire network of 37 branches and facilitate “moving towards a fully paperless environment”, BenchMatrix says. Ziraat Bankasi KSA has upgraded its core banking system, Temenos’ T24, from R10 to R17. Farmers Commercial Bank (FCB) in Sudan is upgrading its core banking system, Temenos' T24. The bank enlisted National Data Consultants (NDC), a Pakistan-based implementation partner of Temenos, to help with the project. Al Khaliji France, a Paris-based subsidiary of Qatar’s Al Khaliji Bank, has gone live with a new core banking platform, Temenos’ T24, at its branches in the UAE.